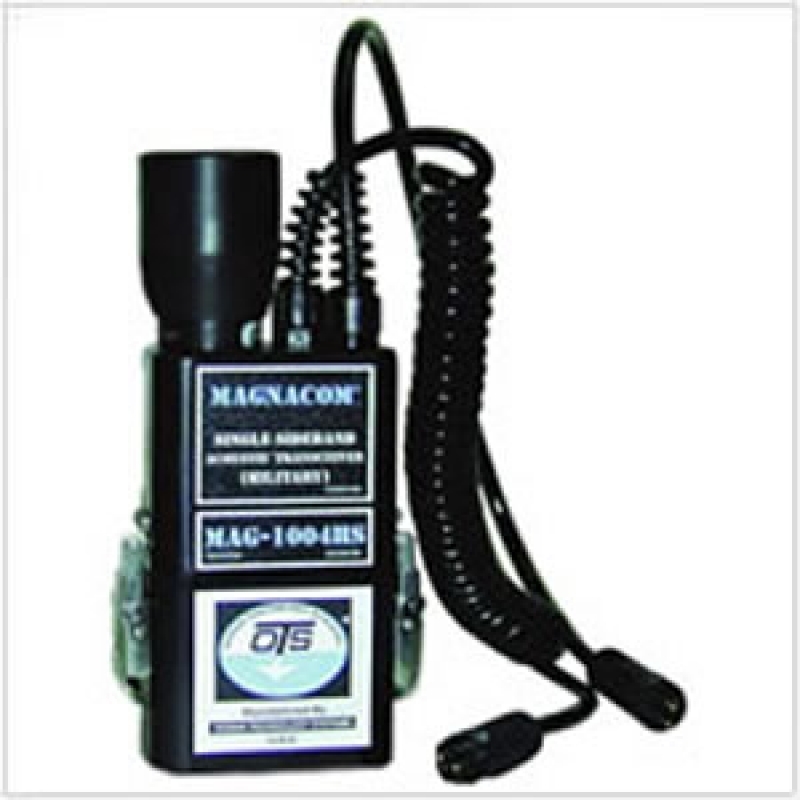 High Power MAG Diver Transceiver, 70 watts, with secure comm. Includes battery and charger. Created for Homeland Security applications, the Magnacom® MAG-1004HS is a variant of the Magnacom® SW-1000-SC. The powerful 70 watt transmitter ensures long range communications. The Secure Mode allows the users a secure way to communicate. This gives the Team the best of both worlds—through-water communications as well as diver-to-diver secure intercom. Further, with the use of an optional specially designed Buddy Line, multiple divers can participate on the secure line! The Magnacom® MAG-1004HS does not have a sleep mode and uses different frequencies than the Magnacom® SW-1000-SC. With an output power (PEP) of 70 watts, the Magnacom® MAG-1004HS has a range of 6000m (in ideal conditions). H: 8.25", W: 4.5", D:2.25"